Eshkol’s parents divorce and she and her mother move to New York for three years where her mother teaches Hebrew. Noa Eshkol attends the Art of Movement Studio, Manchester, Great Britain, with teachers Rudolf Laban and Lisa Ullmann, where she studies Labanotation. She then attends The Sigurd Leeder School of Modern Dance, London. 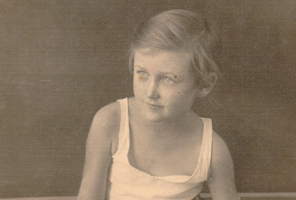 There she meets John G. Harries, who later becomes a central collaborator in her work, as well as Dr. Moshe Feldenkrais. Noa Eshkol establishes the Chamber Dance Group. The ensemble performs her dances, composed in Eshkol-Wachman Movement Notation (EWMN). 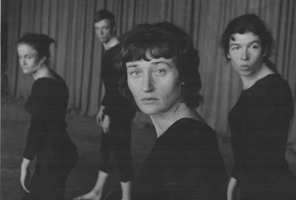 She stops dancing with the group in the late 1950s and focuses on composing and teaching her dances. Published this year: “Movement Notation” by Noa Eshkol and Avraham Wachman (London: Weidenfeld and Nicolson). Levi Eshkol, Noa’s father, is elected the third Prime Minister of Israel. 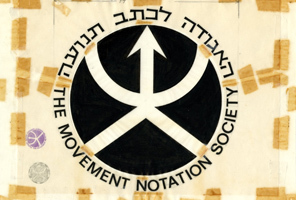 Noa Eshkol founds the Movement Notation Society in Israel. Published this year: “Classical Ballet” by Noa Eshkol with Rachel Nul-Kahana. Awarded a Fulbright scholarship, Eshkol is invited as a guest professor by Herbert Brün and Professor Heinz von Foerster to collaborate on research on the use of computer technology in the exploration of simultaneous movement at the University of Illinois, Urbana-Champaign, School of Physical Education and Electrical Engineering. Published this year: “The Yemenite Dance” by Noa Eshkol with Michal Shoshani, Shmuel Zaidel, and Tirza Sapir; “Twenty-Five Lessons by Dr. Moshe Feldenkrais” by Michal Shoshani and Margalit Sonnenfeld under the supervision of Noa Eshkol. When one of Eshkol’s principal dancers is drafted into the military during the Yom Kippur War, she suspends her work with the Chamber Dance Group and begins creating wall carpets from scraps. Published this year: “Moving Writing Reading” by Noa Eshkol and colleagues. 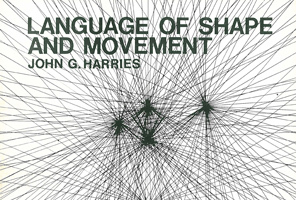 Published this year: “Language of Shape and Movement” by John G. Harries. Published this year: “Tomlinson’s Gavot” by Noa Eshkol; “Symmetry and Notation” by John G. Harries. Published this year: “In the Steps of the Hora” by Noa Eshkol with Shmuel Zaidel; “The Quest for Tai Chi Chuan” by Noa Eshkol with John G. Harries, Tirza Sapir and Ruti Sela. Published this year: “Hanukkah Notebook” by Noa Eshkol with Tirza Sapir. In 1988, Noa Eshkol and the Chamber Dance Group attend the International Conference on Coordinate Method of Dance Notation and Application (CMDN) in Nanjing, China, marking the first time an Israeli delegation is officially invited to China. Published over these years: “Tomlinson’s Gavot” by Noa Eshkol; “Symmetry and Notation” by John G. Harries; “In the Steps of the Hora” by Noa Eshkol with Shmuel Zaidel; “The Quest for Tai Chi Chuan” by Noa Eshkol with John G. Harries, Tirza Sapir and Ruti Sela; “Hanukkah Notebook” by Noa Eshkol with Tirza Sapir; “The Quest for Tai Chi Chuan” (second and expanded edition) by Noa Eshkol with John G. Harries, Tirza Sapir, Michal Shoshani and Ruti Sela. Published this year: “Tavim Leriqud (Notes for Dance) – CMDN” by Noa Eshkol with Michal Shoshani and John G. Harries. 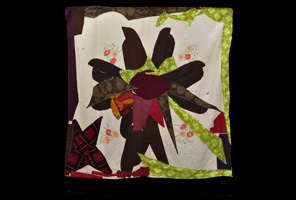 The exhibition, “Fabrics on Fabrics” runs at Hamumche Gallery, Tel Aviv, Israel. On October 14, Noa Eshkol dies. 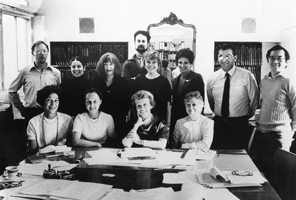 In her will, she provides the terms for the establishment of the Noa Eshkol Foundation for Movement Notation, mandated to preserve her legacy. The Chamber Dance Group resumes activity with the return of Racheli Nul-Kahana and, following thereafter, the addition of two new dancers, Mor Bashan and Noga Goral. 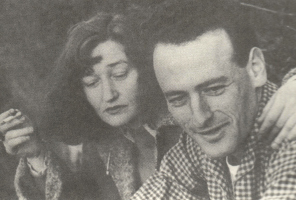 Noa Eshkol is born in Kibbutz Degania Bet, Palestine, to Rivka Maharshek and Levi Eshkol, two of the founders of the kibbutz. Eshkol and her mother Rivka move to a small house in Holon. Noa Eshkol studies Dance and Body Culture Studies at the Tille Rossler School, Tel Aviv. There she is introduced to the work of Rudolf Laban, inventor of a system of dance notation known as Labanotation. Eshkol teaches movement at the Kibbutzim College of Education, the Cameri Theater Drama Studio, and Beit Zvi School of the Performing Arts. At the Cameri Theatre Drama Studio: Herbert Brün, a musician and long-time mentor, partner, and companion of Eshkol’s, co-teaches with her. Avraham Wachman is one of her students. After receiving a degree in Architecture, he becomes a collaborator in formalizing Eshkol-Wachman Movement Notation (EWMN). Eshkol establishes and directs her first dance group, The Chamber Dance Quartet, which includes Naomi Polani, Mira Sharon, John G. Harries and herself. They rehearse in her home studio in Holon. In the early 1950s, they perform across the country. 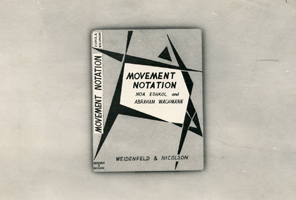 Eshkol and Wachman publish Movement Notation: a Proposal (Rehovot: Weizman Institute), which is to become the basis for the definitive book on EWMN. Eshkol teaches movement and movement notation at Beit Zvi Drama School and The Jerusalem Academy of Music and Dance (1960 – 1964). Eshkol teaches movement and movement notation at Seminar HaKibbutzim College of Education, Tel Aviv. The Chamber Dance Group tours colleges and universities in the Midwest and perform at The Place in London. Published this year: “Physical Training” by Noa Eshkol with Masha Arad and Margalit Sonnenfeld; “Shapes of Movement” by John G. Harries; “The Golden Jackal” by Ilan Golani (Zoology Dept., Tel Aviv University) and Shmuel Zaidel. 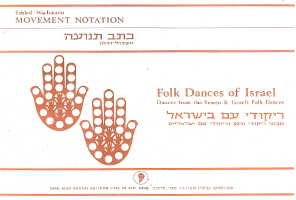 Published this year: “Folk Dances of Israel; Dances from the Yemen & Israeli Folk Dances,” by Noa Eshkol with Michal Shoshani and Shmuel Zaidel. Eshkol is appointed Professor in the Faculty of Visual and Performing Arts at Tel Aviv University and establishes the Research Center of Movement Notation, which operates out of her home in Holon and the Kibbutzim College of Education until 1990. Published this year: “The Hand Book” by Noa Eshkol with John G. Harries, Shmuel Zaidel and Michal Shoshani. Published these years: “Debka; Arab and Israeli Folk Dances” by Noa Eshkol and Shmuel Zaidel, with Osnat Bone, John G. Harries, Tsurit Kopit, Rachel Nul-Kahana, Tirza Sapir, Ruti Sela, and Michal Shoshani; “Right Angled Curves (Dance Suite),” by Noa Eshkol; “Twenty-Five Lessons by Dr. Moshe Feldenkrais” revised by Noa Eshkol. Published this year: “Rubaiyat (Dance Suite),” by Noa Eshkol; “Movement Notations; Part I” (a comparative study of Labanotation & EWMN) by Noa Eshkol with Michal Shoshani and Mooky Dagan. The exhibition “Noa Eshkol: Wall Carpets” runs at the Danish Museum of Decorative Arts (now Designmuseum), Copenhagen, Denmark. Published this year: “Fifty Lessons by Dr. Moshe Feldenkrais” by Noa Eshkol and colleagues. Published this year: “Movement Notations; Part II” (a comparative study of Labanotation & EWMN) by Noa Eshkol with Michal Shoshani. Eshkol founds and organizes the first International Congress for Movement Notation. The congress takes place in Israel and brings over two hundred theorists and practitioners of Labanotation, Benesh Notation, and EWMN to Tel Aviv University to examine the state of the field. 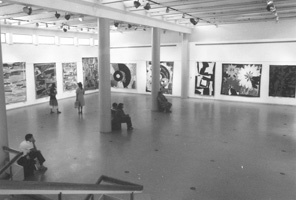 The wall carpets are exhibited in the exhibition, “Soft–Hard,” at Beit Ariella, Tel Aviv. Published this year: “Eshkol Wachmann Movement Notation,” (a dictionary of the signs and symbols used in EWMN) by Annelis S. Hoyman. Published this year: “The Quest for Tai Chi Chuan” (second and expanded edition) by Noa Eshkol with John G. Harries, Tirza Sapir, Michal Shoshani and Ruti Sela. Noa Eshkol and the Chamber Dance Group attend the Second International Congress on Movement Notation (Hong Kong). The wall carpets are exhibited in group exhibitions at international venues: French-Israeli Artist Exchange Program, Le Mairie de Paris, Paris, France; Royal Museum of Art and History, Brussels, Belgium; Maison de l’artisan, Marseille, France; Palácio Galveias, Lisbon, Portugal. Published this year: “Angles & Angels (Dance Suite),” by Noa Eshkol; “In the Steps of the Horses” by Shmuel Zaidel. The exhibition, “Wall Carpets from Fabrics” runs at the Museum of Art, Ein Harod, Israel. Published these years: “EWMN Part I” and “EWMN Part II” (a revised summary of EWMN including modifications since its development in 1958) by Noa Eshkol and John G. Harries.